101 Dalmations & Others Lot (Buena Vista, R-1985). One Sheets (2) (27" X 41") & Australian One Sheet (27" X 40"). Animation. Starring the voices of Rod Taylor, Betty Lou Gerson, Cate Bauer, Ben Wright, Lisa Davis, J. Pat O'Malley, and Tom Conway. Directed by Clyde Geronimi, Hamilton Luske, and Wolfgang Reitherman. A Walt Disney Production. Included in this lot is a folded one sheet poster from Pete's Dragon (Buena Vista, R-1984) and an Australian one sheet poster from Sleeping Beauty (Greater Union Organisation, R-1987). 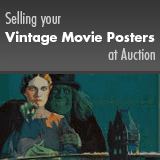 Unrestored posters with clean overall appearances. They may have general signs of use, such as slight edge and fold wear, minor creases, and light smudges. Please see full-color, enlargeable image below for more details. Artwork for Pete's Dragon by Paul Wenzel. Folded, Very Fine+.